Check Out The New Face of Your Ticket Store! Home » Blog » Features » Check Out The New Face of Your Ticket Store! You’ve probably noticed something’s different about Yapsody since the last time you logged in. We’ve gotten a makeover! Based on your feedback, we’ve redesigned your Online Ticketing System to make it quick and easy for your event to have the professional and exciting look it deserves and get customers engaged in the registration and purchase process quickly and seamlessly. 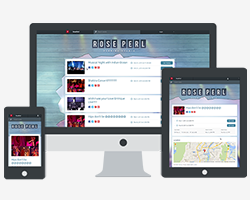 The new Online Ticket Store also aims to provide a more consistent and richer user experience from your store’s homepage all the way through to the across the venue home page, event details page, booking page and payment page. Customers’ purchases shouldn’t depend on the device they are using. They should be able to access your online ticketing store and book their tickets from a desktop, laptop, tablet or mobile phone. So we’ve introducing a completely responsive design that will appear as though your store was made for the device on which it is being viewed irrespective of device type or screen size. Palettes can provide much more control over the look and presentation of the content on your home page. 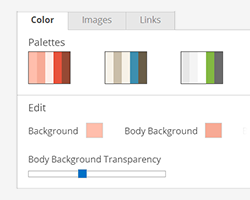 We have added seven new palettes to the Ticket Store Setup for easy color combination plus the ability to adjust opacity, which will give you more flexibility to design your Event Ticketing System. One of the most important features for event presenter is the ability to share and promote their events. Until now, you could share content and event information via Twitter and Facebook; but more is always better! 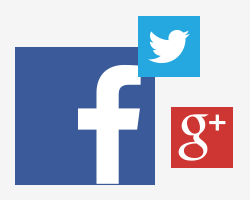 Yapsody added two more Social Media platform; Google+ and Pinterest, to help you promote your event more effectively and with a wider reach. These are just a few of the exciting new changes coming to Yapsody. To get updates on new features, follow us on Twitter and Facebook and check back with our blogs.